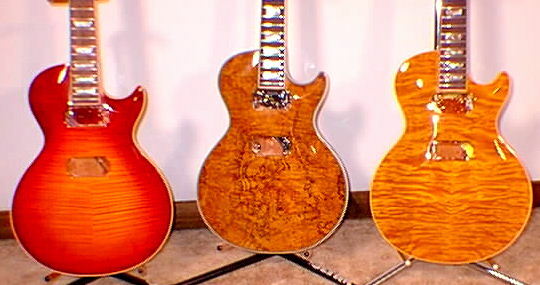 Dealers send me all your Broken Les Pauls !!! 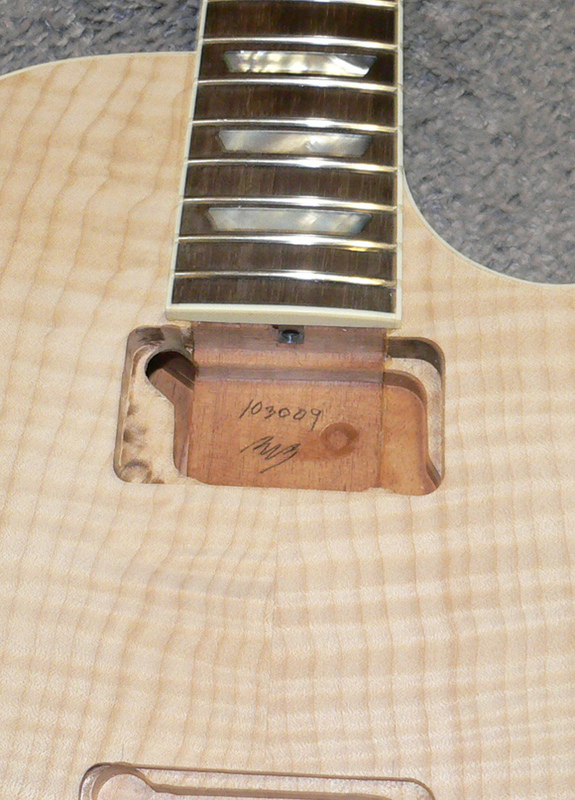 I Guarantee the neck for 25 years if It breaks in the same place I will fix it for free !!! C'mon you got 'em in the back packed away, They are currently worthless. I will send it back to you like new, but customized to where you will be able to get far more for it!! If you can tell it was ever broken you won't have to pay your bill, It's Free !!! I will never show any job done for any dealer on my website !!! 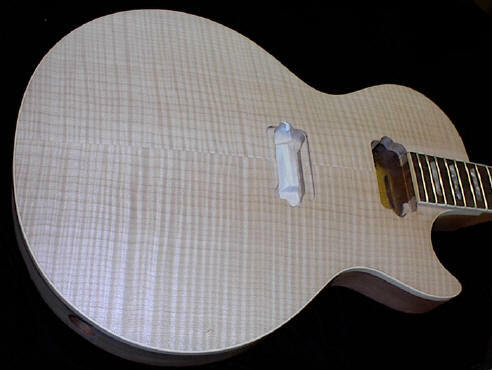 I have done Les Pauls, PRS's Hamer's etc for over 120 dealers in the USA alone. 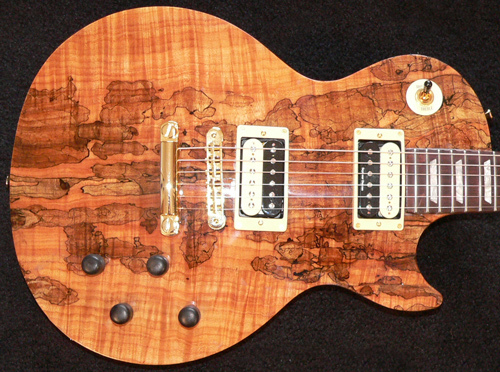 All Retops & Custom Inlays Done By Ed Roman's Custom Shop In Las Vegas !!! 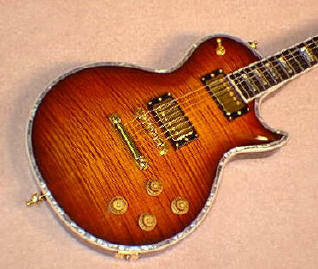 This guitar will cost about 20% of what Gibson would charge !! The quality will be better than original Guaranteed or your money back !! The sound will be better, it will play as good as this antiquated design possibly can !!! 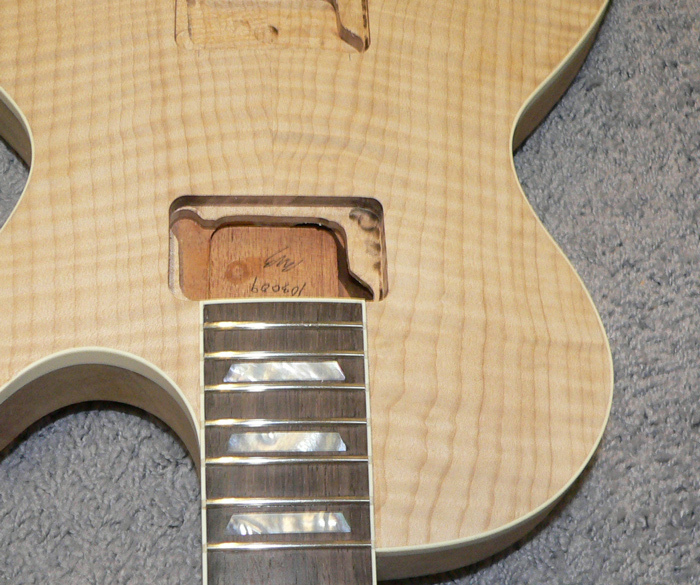 New designs play better because you can reach the top frets!!! 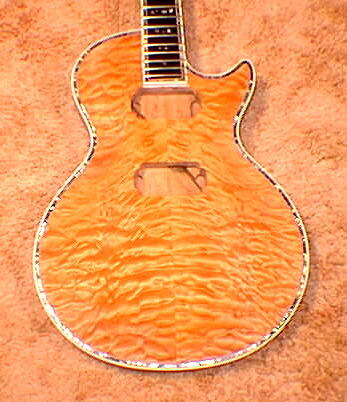 Beautiful Amber Retop With Abalone Purfling around the body. Even the fingerboard and frets are replaced !! 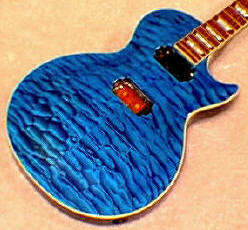 even taking into account we had to throw away the original Les Paul that this guitar was built on. Yet Another Quilted Retop Done At Ed Roman's Custom Shop !!!! 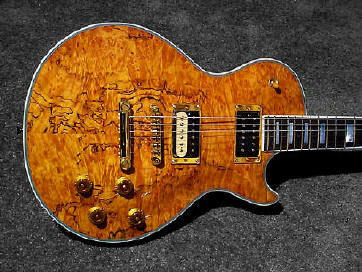 Did you know that Slash recorded "Appetite For Destruction" using replicated Custom Made Les Paul style guitars, built completely from scratch by several custom builders in Los Angeles. Max Baranetta and Kris Derrig. 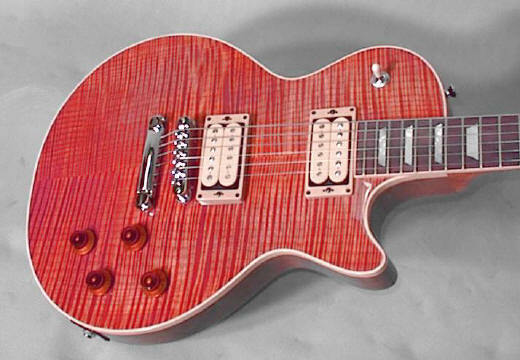 Gibson released a guitar called "Appetite For Destruction" & people actually went out and bought it thinking it was the same guitar that Slash played. 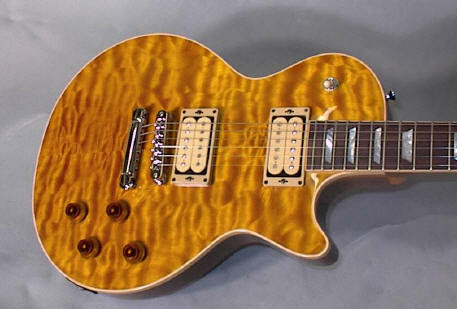 It amazes me that people assume they will be able to sound like Slash because they bought a guitar that looks like his. Freshly Retopped We Have Not Even Drilled The Holes For The Knobs Yet !!! C'mon you got 'em in the back packed away and they are currently worthless. Blue is the Most Popular Color We Do !!! What !! You Don't Want To Follow The Herd And Get A Red One ??? spalted maple is one of the best top woods we use !!!! 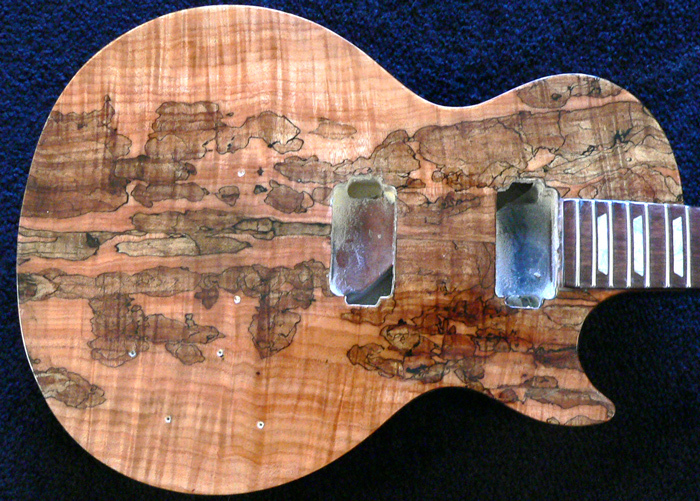 Use a Korina back & a spalted maple top. You will hear the difference in the resonance!!! 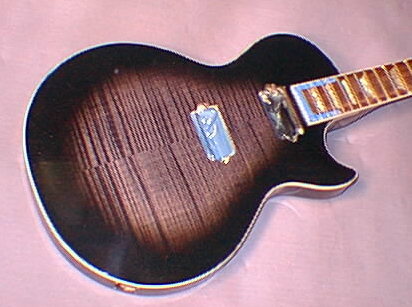 This is another example of an Ed Roman Custom Shop Retop. Yes We Have done original 58's and 59's also!!! 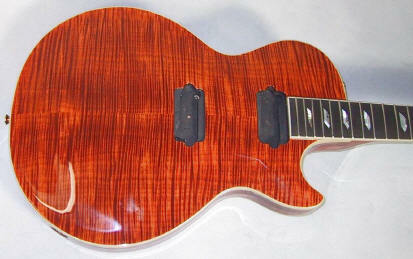 We are still delivering in less than 6 months so send us your guitar today !!! !